Whether or not your suspended credit card account can be reinstated depends on the reason for the suspension. In many cases, the account can be reactivated once you clear up the issue causing the stoppage. The card issuer might send you a new card with a different number, but other aspects of the account should remain the same. 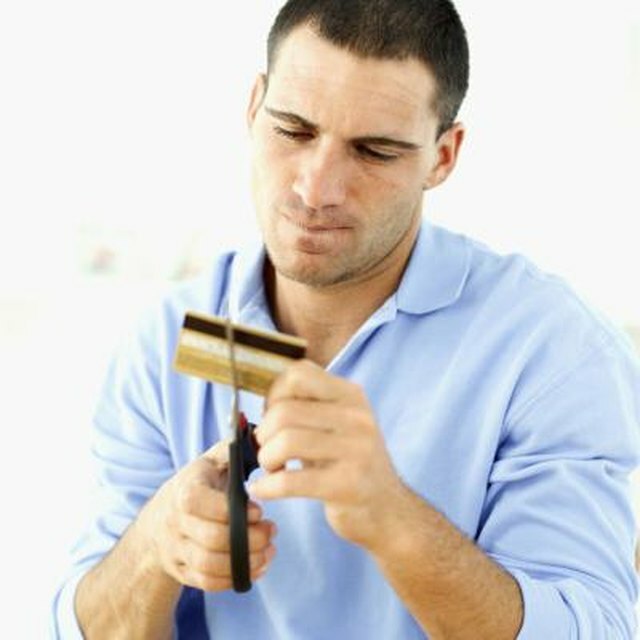 A suspended credit card can be reinstated under the right circumstances. Contacting the card issuer to determine the cause of the suspension will give you the insight you need to take the next steps. If your credit card issuer suspects your card is being used fraudulently, it might temporarily suspend your account. The credit card's security division might have noted suspicious transactions and attempted to contact you to confirm them. If they aren't able to reach you – say, if you've changed phone numbers and didn't update your personal information with the card issuer – they'll suspend the card. In an actual case of fraud, your current account is closed and you'll receive a new card. If the charge is legitimate, the account is either reinstated or you'll receive a new card with a different number. Although you don't know that someone is using your credit card fraudulently until it's suspended, if you haven't paid your bill the suspension shouldn't come as a surprise. By the time the account actually is suspended, your bill is long overdue and you've received warning letters and phone calls. If you don't pay your bill, your card issuer not only will suspend your account, it might file a lawsuit against you. Unless you pay the bill in full very fast, it's unlikely you'll get this account reinstated. If you have several credit cards but only use one or two, using an inactive card might result in your purchase being declined and your account suspended. The same holds true if you only have one card, but almost never charge items. Even with cards you use frequently, you must formally activate them before use, not just put the new card with an updated expiration date in your wallet. Inactive cards are among the easiest to reinstate. Contact your card issuer, explain that you do want the card and they'll usually resolve the situation promptly. If you receive notice that your credit card has been suspended, make sure it's legitimate. Crooks often send phony emails concerning credit card suspensions in order to gain credit card numbers and other personal information. Known as phishing, this scheme involves sending legitimate-looking emails notifying the receiver of an account suspension. The message requests that the individual click on a link and provide personal information. Visa's website recommends checking out the legitimacy of such emails by contacting your credit card issuer separately by phone and requesting verification. Today: What If You Stop Paying Your Credit Cards? Fund & Grow: Can You Reactivate a Suspended Credit Card Account?